Product prices and availability are accurate as of 2019-04-10 07:07:03 EDT and are subject to change. Any price and availability information displayed on http://www.amazon.com/ at the time of purchase will apply to the purchase of this product. 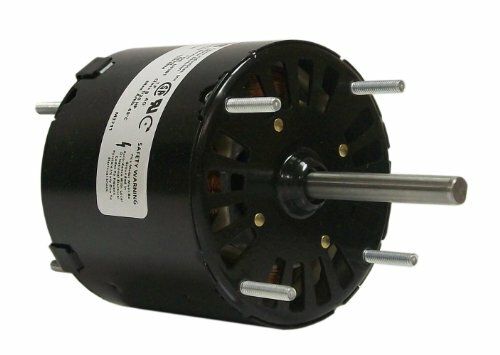 Item: 3.3 Inch Diameter Motor, Motor Type: Split-Phase, HP: 1/20, Nameplate RPM: 1500, Voltage: 115, Enclosure: Open Vent., Rotation: CW, Hz: 60, Phase: 1, Speeds: 1, Bearings: Sleeve, Shaft Number: 1, Shaft Length: 2.25", Shaft Dia. : 0.312", Thermal Protection: No, Cooling: Air Over.Features: Air overWARNING: California ResidentsThis product can expose you to chemicals including Styrene, which is known to the State of California to cause cancer and birth defects or other reproductive harm. For more information go to www.P65Warnings.ca.gov.